[SEPTEMBER 25, BETHLEHEM, PA] In an effort to keep the iconic Saab brand on the road, Orio North America, the exclusive supplier of Saab Original parts, is proud to announce the launch of its “Parts for Life” initiative. The initiative provides a lifetime warranty on Original parts to Saab owners who repair or service their cars at a Saab official service center. In addition to preserving and restoring Saab cars, the initiative will also support the work of Nordens Ark, a Sweden-based organization, which works to protect endangered species around the world. The closing of Saab Automobile in 2011 means that the generation of cars currently on our roads will be the last, but it doesn’t mean the iconic automobile needs to head the way of extinction. 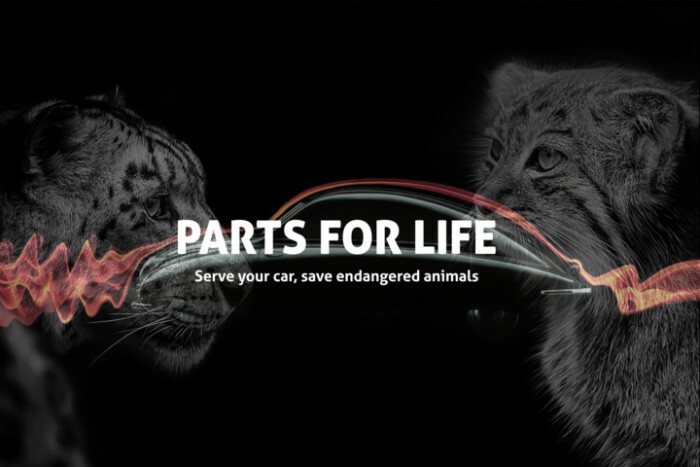 Thanks to Orio’s “Parts for Life” initiative, Saab owners can have their car repaired with Original parts and simply activate the lifetime warranty at www.partsforlife.com. The declining amount of Saab cars over the past few years have made enthusiasts look at the car as something that could be endangered in the future, a threat it shares with many animal species around the world. That is why Orio will be working with Nordens Ark to make a yearly contribution as part of the “Parts for Life” initiative. Nordens Ark is an organization with its roots in Sweden but works with the protection of endangered species all over the world, which has a perfect relationship with Saab cars. “As a brand focused on preservation, it also made sense to tie in a worthy organization to support as part of this initiative – and we are thrilled to be working with Nordens Ark who will be the benefactor of our goodwill portion of the campaign,” said Colbeck. “We are very excited to work with Orio and ‘Parts for Life.’ It is a great initiative and we will now work together to ensure endangered species have a future,” said Mats Höggren CEO Nordens Ark. Orio North America is the exclusive supplier of Saab Original parts for the United States and Canada. Orio North America has been supplying automotive parts since 2012 carrying on the 70-year legacy of Saab cars in the US market. Headquartered in Bethlehem, Pennsylvania, Orio North America maintains a network of over 400 service centers and independent repair shops—supplying both parts and commercial business solutions—to keep Saab cars on the road. Orio North America upholds the heritage of its parent company, Orio AB, a global automotive parts and logistics company headquartered in Nyköping, Sweden and owned by the Swedish Government. For more details, visit https://www.orio.com/us/ or follow us on LinkedIn and Twitter.